Looking for a new and entertaining way to support the mission of Baptist University of the Américas? 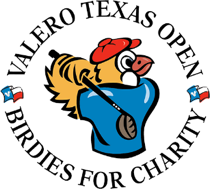 How about participating in the Birdies for Charity fundraiser offered through the Valero Texas Open? Our goal is to raise $150,000 for much needed technology upgrades and a computer lab. You can make a minimum pledge of one penny or more per birdie or make a one-time donation (suggested min. $20). BUA will receive 100% of every penny and Birdies for Charity will match funds raised by 7% to make your donation go even further! For added excitement, you will have a chance to guess how many birdies will be made during the Valero Texas Open. If your guess is correct, you could win a Stay-and Play Package to the J.W. Marriott San Antonio Hill Country and TPC San Antonio. To make a pledge or gift online click here. For more information on BUA’s Birdies for Charity Fundraiser, click here. It’s that easy! Should you have any questions contact Patricia Obregon at (210) 298-3180 or patricia.obregon@bua.edu. We have included PDF forms as another option for you. See below. Download PDF Valero Texas Open Registration Form to donate to BUA and email to patricia.obregon@bua.edu. Download PDF form on how this charity will help BUA.